ways to improve the chances of selling that house.Consider the doors and windows, are they boring or too plain? Simple window and door dressings can change that in a matter of minutes. 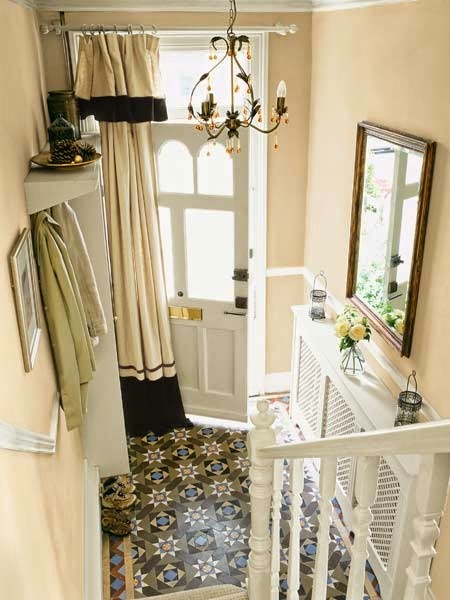 Again, choose a neutral color as not everyone has the same taste, and just thrown a door dressing up over the inside front door like in the photo above. I know some of these may seem obvious, but you’d be amazed how many people leave them or don’t even think about such things, the buyer just might however, and that’s who we’re doing this for. So give it some thought and stay tuned to tomorrow’s tip!